The flair of solid contemporary design is executed immaculately in the Bertino swivel accent chair. 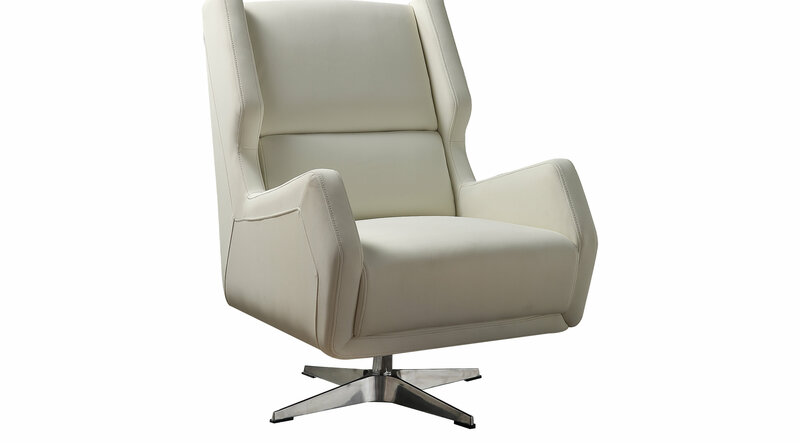 Wrapped in white look of leather upholstery, it offers an unmatched style with supreme quality. The supported chrome legs and full foam seating furthermore provides long lasting durability and strength. This accent chair will not only deliver ultimate comfort, but will also set the scene in any living space.